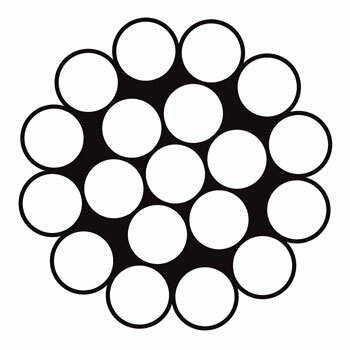 Commonly used on stationary rigging on sailboats, guy wires and push pull control cables. 1x19 is best suited for stationary applications. 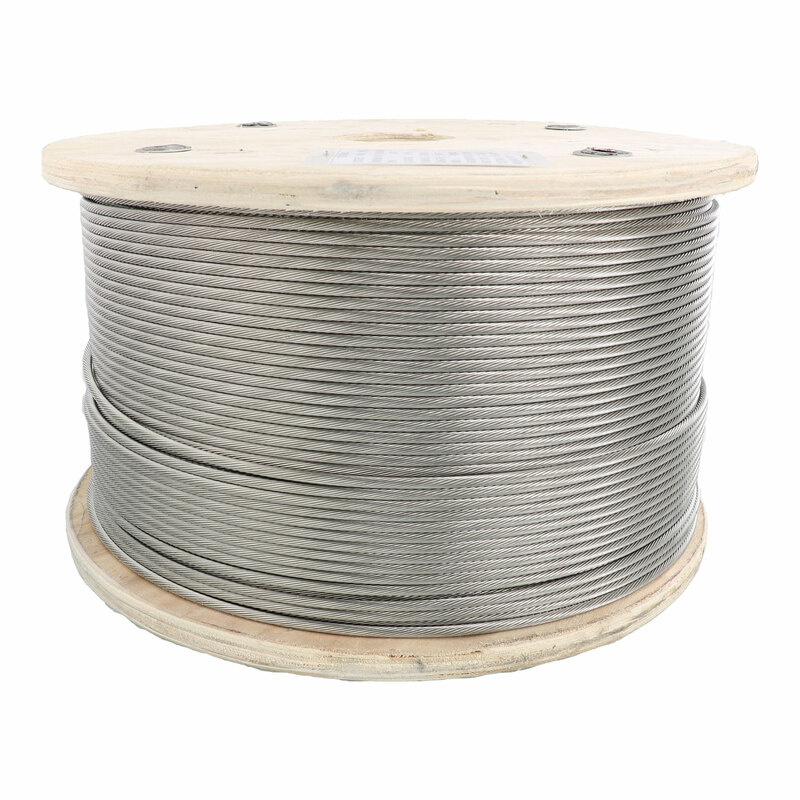 316 stainless steel cable offers the most corrosion resistance and is ideal for marine environments, but lower strength than type 304 stainelss steel and galvanized cable. Due to its stiffness and appearance, 1 x 19 stainless steel cable is most commonly used for cable railing and balustrade deck type systems. The stiffness makes installation and tensioning easier due to less sag. E-Rigging offers 1 x 19 stainless steel cable in 200, 500 and 1000 foot reels. 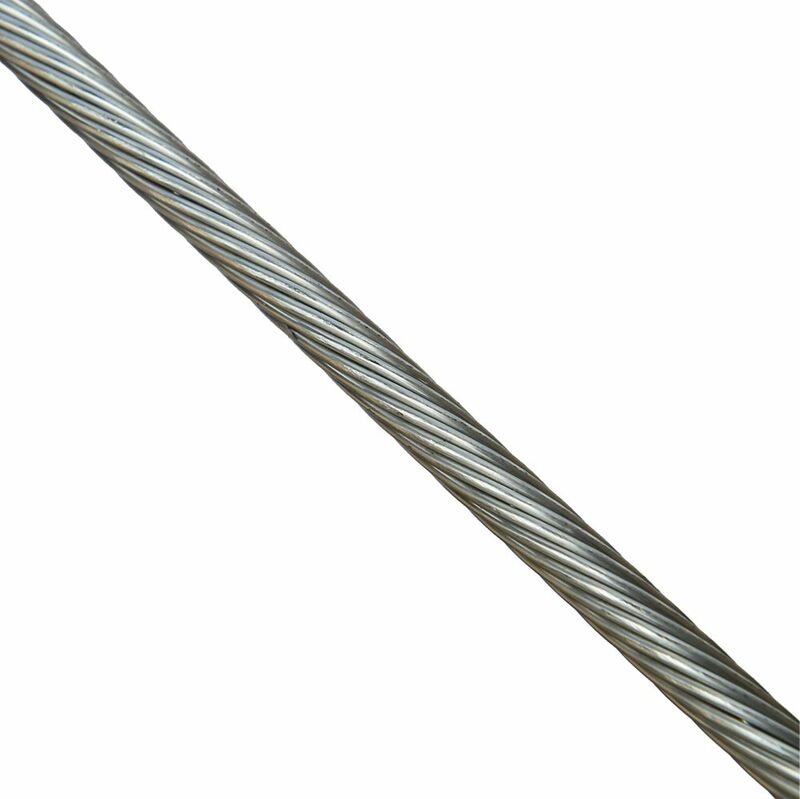 And because many cable railing systems are installed in coastal regions where salt air is present, this cable is only offered in corrosion resistant type 316 stainless steel.